Get your 2019 Texas NWTF calendars while they're hot! 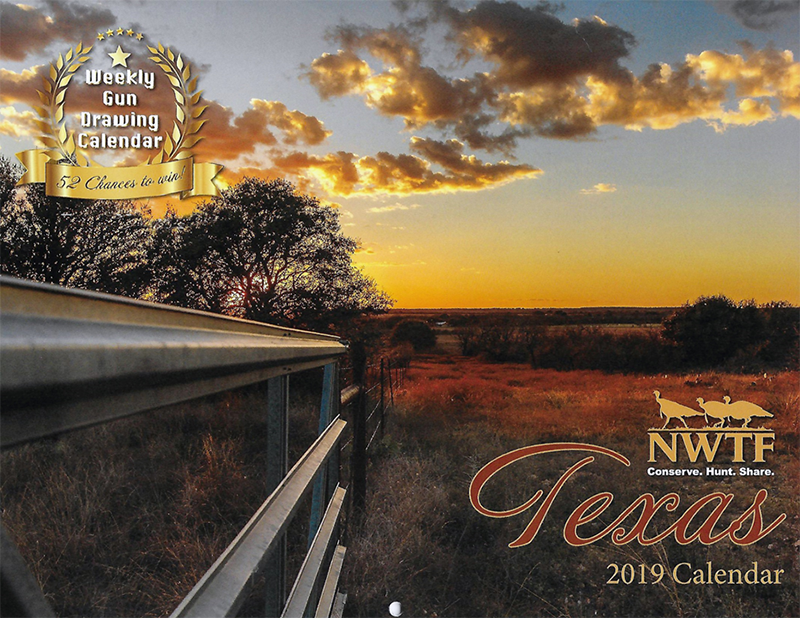 We are once again selling Texas NWTF gun calendars for 2019. The calendars are $50 each and they give you one chance a week to win one of 52 guns to be given away. That comes out to .96 cents a week. Only 1,000 calendars will be sold at $50. Each calendar gives you a chance at all 52 guns. The winning number is determined by the Wednesday evening "Pick 3" Texas Lottery drawing. Once contacted, the winners will be posted on this page as well as the NWTF-Texas Facebook Page. They make great gifts for friends, family, co-workers, employee’s, customers, etc., etc.. Christmas is just around the corner. Contact us or your local NWTF chapter to get one of these great calendars and your chance to win fabulous prizes!